Affordable spring dresses, pool-side sandals, and a beach bag to put it all in! 1. 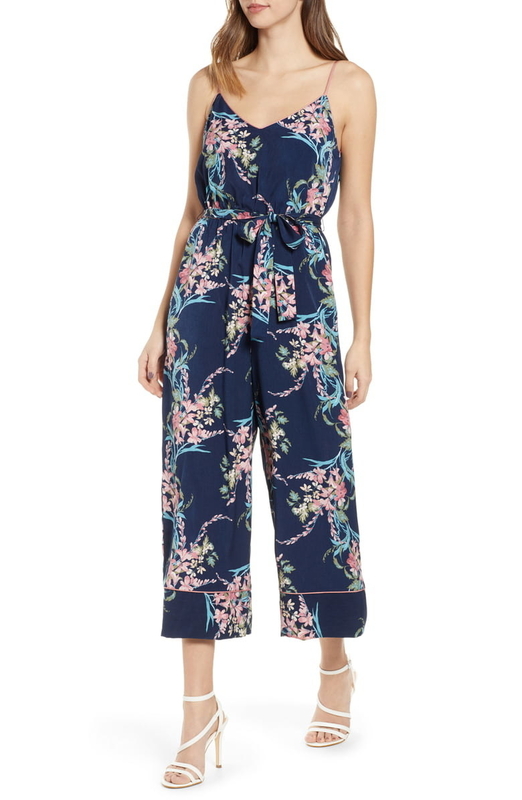 A pair of wide-leg ankle pants for anyone who's tired of tight jeans and prefers a loose and breezy option. 2. A versatile cotton V-neck tank so your closet is stocked with the basics, in all kinds of colors, for the spring and summer months ahead. 3. An underwire bra with fierce embroidery on the top to add just the right amount of texture and make it feel more special. 4. A slide-on sandal that'll give you that fun beach vibe you really love to rock. 5. A printed midi skirt so you can strut your way in and out of fancy events like the true commander of the room you are. 6. A pair of paper bag–waist shorts with a ruffled effect and bold belt that'll do all the work for you. Throw on a simple t-shirt and be out the door! 7. A pair of high-rise ankle jeans, because you've been on the hunt for the perfect pair and here they are just in time for spring! 8. A water-resistant raincoat with a lightweight hood that'll brighten up even the cloudiest of spring days. 9. A breezy tie-front wrap top you can wear alone for a comfortable fit that's still stylish or and add a belt for a more polished look. 10. A frayed hem denim miniskirt you should stock up on multiple pairs of, because you'll be in these all summer long. 11. A cover-up maxi dress to bring the comfy feeling you love from your home out to the beach or by the pool. 12. A set of semiprecious stone Kate Spade stud earrings to wear with pretty much any outfit. Add a pair of earrings and all of a sudden your look will feel complete. 13. A tie-front v-neck tee so you don't have to put too much thought into what you'll wear on casual Friday. This, you'll wear this! 14. A ruffled tee with a subtle racerback design so your shoulders can see the sun after months of hibernation. You can ~tank~ me later! 15. A pair of high-waisted four-button jeans with a fringed ankle, because you used to own a black pair but can't find them for the life of you! 16. An open-front cardigan sweater with side-slits, front pockets, and a warm-but-not-too-warm feeling that'll have you rocking this at the office regularly. 17. A pair of soft-footbed Birkenstock sandals, because they'll form so well to your feet you'll feel like you aren't wearing shoes at all. And if you wear them to the beach, that can be a reality! 18. A sleeveless muscle tank that'll be a ~tee~riffic addition to your summer wardrobe. 19. A platform wedge sandal that'll be your summer ~sole mate~. 20. A woven tote with an over-the-shoulder handle design, magnetic snap closure, and zip and wall pockets inside, making this your new go-to travel and beach bag. 21. 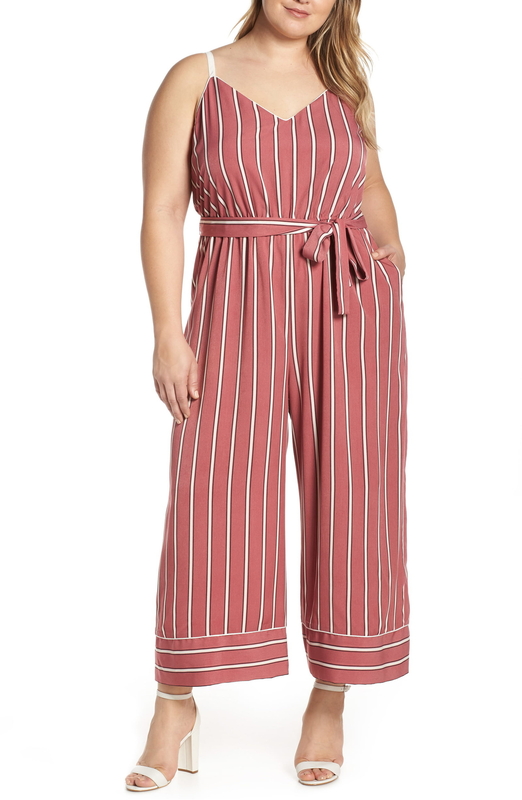 A sleeveless jumpsuit to make sure you're breezy and comfortable all summer long, thanks to the wide-leg bottoms and spaghetti straps. 22. A leather biker jacket with zippered cuffs and edgy studs on the collar for the badass look of your dreams. 23. A bell-sleeve midi wrap dress to match your bright personality and lighten up any room you walk in to.